Akiva Schaffer is an American singer, rapper, musician, actor, comedian, director, producer, and writer. 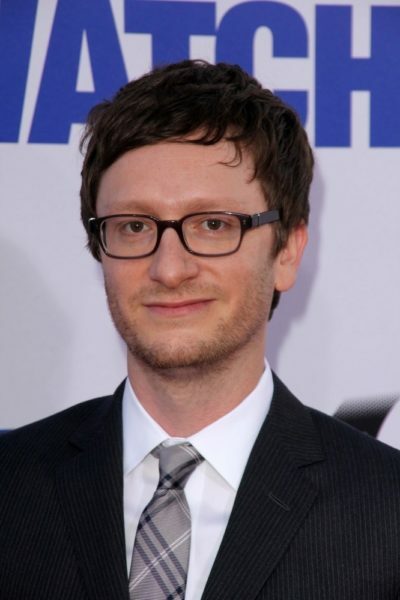 He is a member of the comedy group The Lonely Island, along with Andy Samberg and Jorma Taccone. Akiva is the son of Patricia (Schaffer) and Gerald Shebar. His parents are both Jewish. The surname Shebar is found among Jews in Poland and Romania. Akiva is married to actress Liz Cackowski, with whom he has two children. Akiva’s maternal grandparents are probably Mischa Mark Schaffer and Ruth F. Mischa was born in Russia. Shebars are Romanian Jews. I can’t claim to be 100% right, but I believe his paternal grandparents were Martin Shebar (son of Abraham Shebar and Sadie Klein) and Rose Brand (daughter of Josyph Brand and Gussie). If not, then one of Martin’s brothers and their wife.